Night tour in Montjuïc Cemetery (Barcelona). On the 23rd March Cementiris de Barcelona organise a night tour in Montjuïc Cemetery. 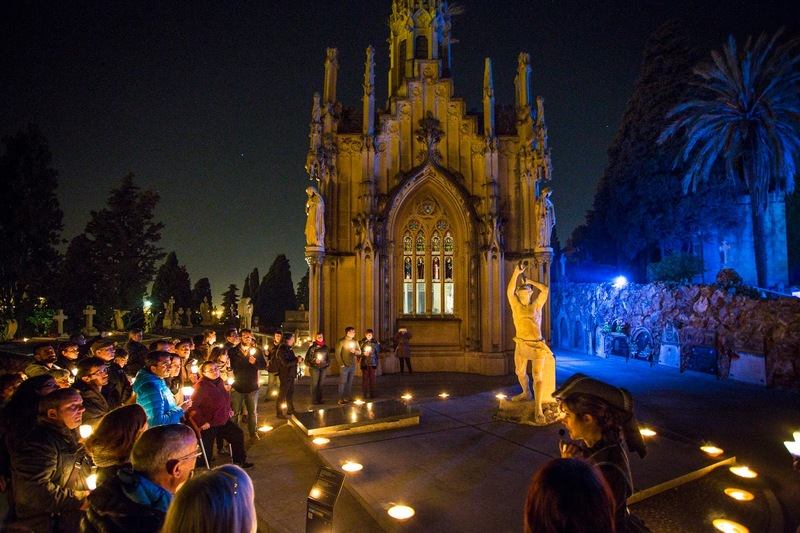 Twice a year Cementiris de Barcelona organise a night tour visiting the monumental cemeteries of the city of Barcelona. In the previous years more than 12.000 people attended this event annually. Our guides and actors, dressed in period costumes, will show to attendees a new area of this monumental cemetery. You can find more information about the event on: comunicacio@cbsa.cat.